Most view these consequences as the “cost of doing business” on construction projects, no matter the size. But not when LePatner is on your team. LePatner is unique in the industry. Founded as a construction law firm in 1980 representing architects and engineers, we now primarily represent building owners, developers, and investors undertaking capital projects. 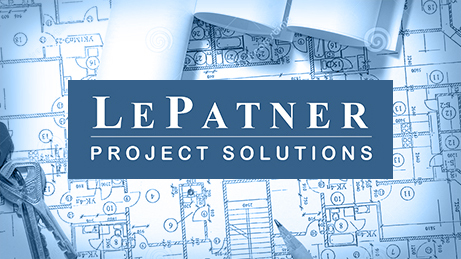 Today, LePatner & Associates LLP and LePatner Project Solutions LLC are a powerful combination that seamlessly provides owners with a continuum of business advisory, legal, and project management services from project conception and team formation to design, construction, and occupancy. For decades, the construction industry has deemed fast-track and its resulting delays and cost overruns to be the norm. Owners have had little defense. LePatner acts proactively on behalf of its clients to protect their financial and business interests while minimizing risk. We put clients on an equal footing with their contractors when negotiating the cost of their projects, large or small. Known in the industry as thought leaders and creators of the LePatner C³™ methodology, we enable our clients to complete their projects for a true fixed price, on time and on budget. We are proud of our 35-year legacy of helping our clients achieve positive, cost-effective results on their capital projects. Contact us to see how we can help you on your project. Whether its new construction, gut renovation, damage and defect claims, or property insurance issues, every building project faces its own set of challenges and complexities. We specialize in tackling projects that traditional real estate attorneys can't. LePatner & Associates, LLP is one of the nation’s foremost construction law firms. 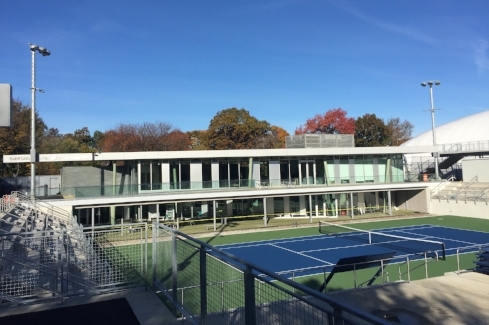 For over 36 years, founder Barry LePatner has provided sophisticated and comprehensive legal counsel and business advisory services to corporations, real estate developers and investors, healthcare and educational institutions, non-profit organizations, as well as design professionals who are planning and building capital projects. Our services are guided by the client's business needs and project objectives. Whether preparing and negotiating our customized C³ Agreements, strategizing on how to obtain jurisdictional approval for a project, or resolving disputes with an adversary, we perform our services as an extension of our client’s organization. Learn more about the range of legal services we provide for real estate owners and design professionals. A good contract only gets you so far in today’s hot construction environment. Experienced project management is a must to ensure that you – not your consultants or contractors – remain in control of the project. LePatner Project Solutions, LLC is the project management firm that offers something to owners they haven’t had in decades—control. Control over their budgets, control over their schedules, and control over the project risk they assume. The continuum of services LPS provides enables owners to build smarter and more efficiently. LPS understands that owners crave transparency and an equitable allocation of risk in what is an increasingly fragmented, complex and opaque building process. Whether it’s new construction, gut renovation, close-outs, or forensic investigations, our team provides a comprehensive and sophisticated understanding of the design and construction process and knows how to navigate that process to return project control to the owner. Click here to learn more about the continuum of services we provide. LePatner has avoided specializing in project types. Instead, we specialize in solving complex capital project problems for owners that don’t build for a living. We’ve been responsible for managing design-award winning projects for restaurant owners, non-profits, and luxury retailers. Whether strategic planning at the outset of their project or “rescuing” a project in progress, we achieve the best possible outcomes for our clients. Click here to see some of our recently completed favorites. 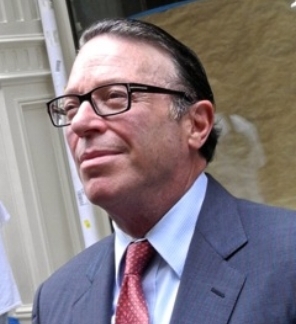 Barry B. LePatner is founder of the New York City-based law firm LePatner & Associates LLP. For three decades, he has been prominent as an advisor on business and legal issues affecting the real estate, design, and construction industries. Brad Cronk is a principal of LePatner C³ LLC, which provides project management services to corporate and institutional owners, real estate developers, investors, and non-profits in the New York City metropolitan area. Conceived as a digital extension of the LePatner C³ principles by Barry LePatner and LPS Principal, Brad Cronk, Arazoo is the essential cloud-based platform serving design professionals, building product manufacturers, and real estate owners. Named for Arazu, the Babylonian god of completed construction (we are not making that up! ), Arazoo is creating a marketplace that makes building product and material selection and purchasing better. Learn more here.